backlash, friction and wear problems associated with worm, gear and belt drives. 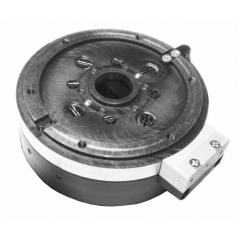 It combine axial brushless RotoLinear motoring modules and planar air bearings in a compact, direct drive configuration. These tables provide unlimited rotation capability and are compatible with standard micro-stepping drives and indexers. Can also be equipped with IntelLiCoder feedback and driven as a commutated brushless motor. 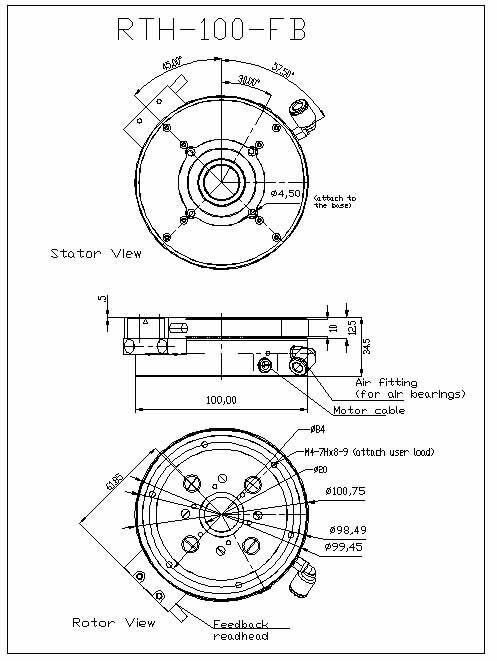 RTH rotary stage feature center bore (aperture) for user to install cabling, vacuum lines or fixtures. Can also be supplied with recirculating mechanical ball bearings.